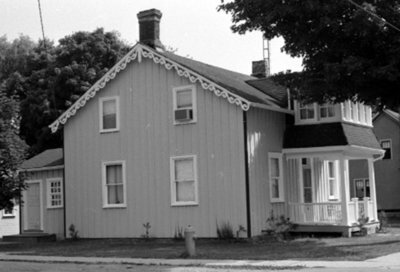 A black and white photograph of 501 Mary Street West. This house belonged to Harold Bonnetta. 501 Mary Street West, July 1975, Brian Winter. Whitby Archives A2013_004_33D.